These powerful little seeds are pretty much tasteless and can be eaten raw or added to almost anything- cereals, stews, pasta dishes, smoothies, yoghurt, muffins, even salads. 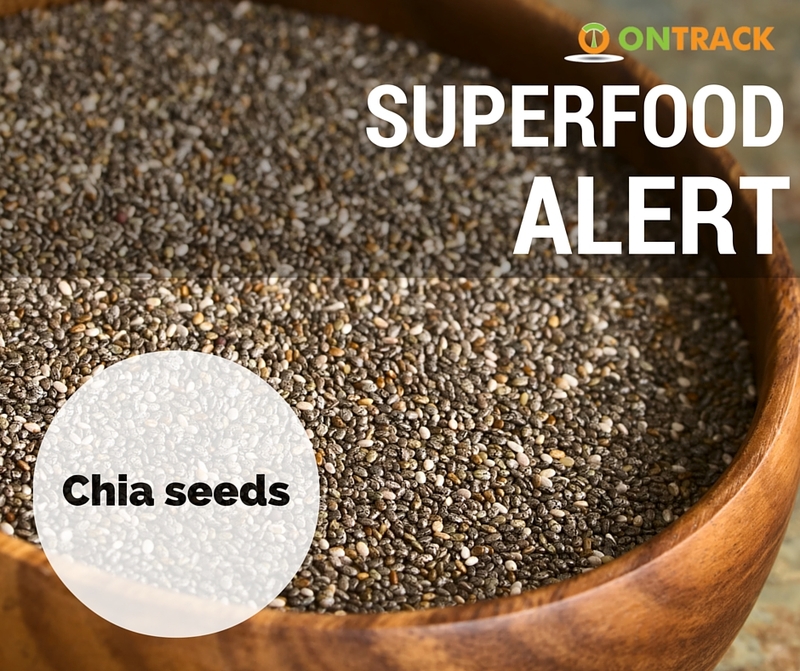 When cooked they soften so they don’t change the texture of foods much, and although there still needs to be more research done on the exact effects they have, chia seeds have some characteristics that hint at some pretty fantastic health benefits. Contain omega 3 fats For those of us who aren’t that fond of fish, and don’t love taking supplements every day, these little seeds are one way to help boost your intake of omega 3’s which are vital for brain function, act as an anti-inflammatory, prevent certain types of cancer, and lower your risk of heart disease and stroke among other things. High fibre Chia seeds can help top up your fibre count, and a high fibre diet promotes gut health and prevents constipation, which lowers your risk of diverticulitis, bowel cancer, plus helps you feel fuller for longer and promotes healthy gut bacteria. Nutrient dense 2 tablespoons offers almost a third of your daily nutrient requirements for manganese, magnesium, and phosphorus, and a fifth of your calcium requirements. High in antioxidants Antioxidants reduce the production of free radicals in the body, which may help to prevent ageing as well as cancer formation. Gluten free For those with Coeliac disease or gluten sensitivities, these seeds can be included as part of a balanced diet in combination with other gluten free whole grains to help contribute vital nutrients. Many gluten free foods are highly processed or higher in fat or sugar, and so having another guilt free gluten free whole food to add to the list of allowed ingredients is great.